Dr Neil R. Edwards, MA, PhD is Reader (Associate Professor) in Earth System Science at The Open University, UK. Neil holds a PhD in applied mathematics from the University of Leeds and an MA in mathematics from the University of Cambridge. His main research interests are in the interaction of climate and societal dynamics in the present and future, including environmental policy issues, and the interaction of climate and Earth system dynamics in the geological past. 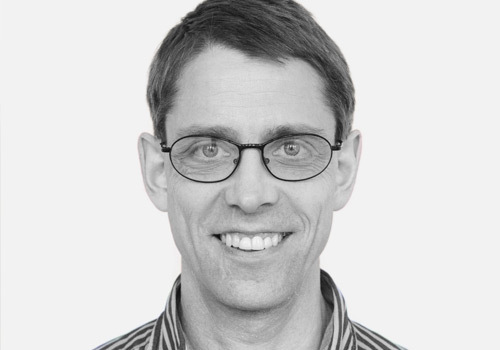 His recent work has focused on statistical climate modelling, emulation and uncertainty in climate change and integrated assessment modelling. Neil has led the Open University Earth system modelling group since 2005. He was the overall coordinator for the €3.4m EU environmental policy modelling framework development project ERMITAGE from 2010 to 2013 and was on the management team of DESIRE, a €2m UK-French palaeoclimate research consortium. As a founding developer of the grid-enabled integrated Earth system model (GENIE) framework he also collaborated on the multi-institution projects QQUEST, GENIE, GENIEfy and RAPID THCMIP and has worked in the UK, France and Switzerland. He has 70 peer-reviewed publications on climate and integrated assessment modelling and related issues and contributed to the two most recent assessment reports of the IPCC.